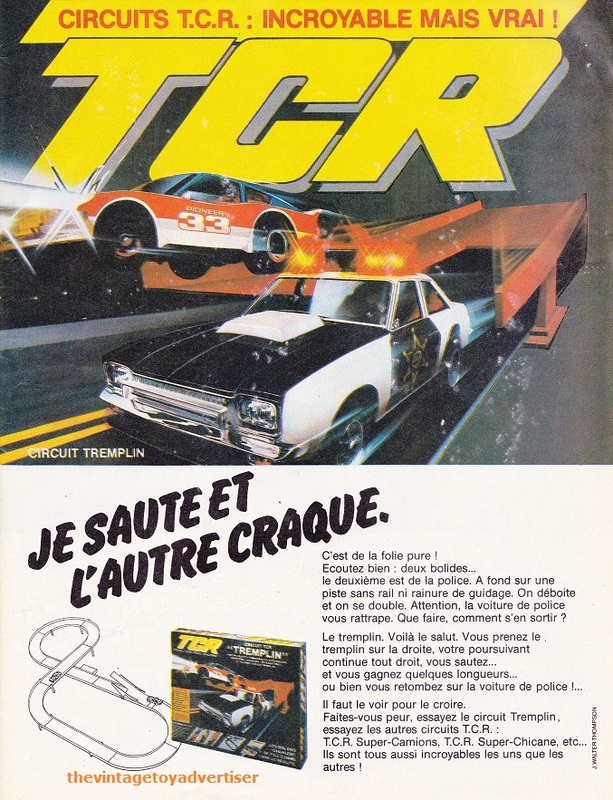 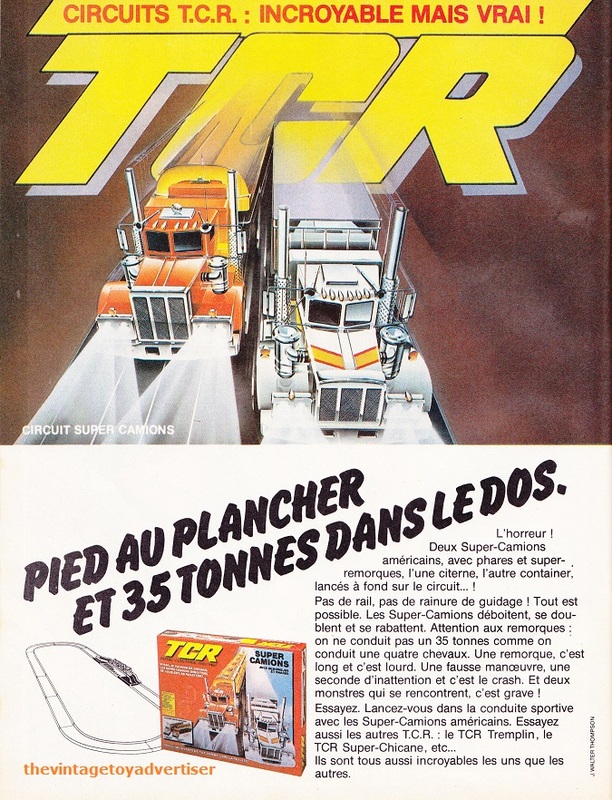 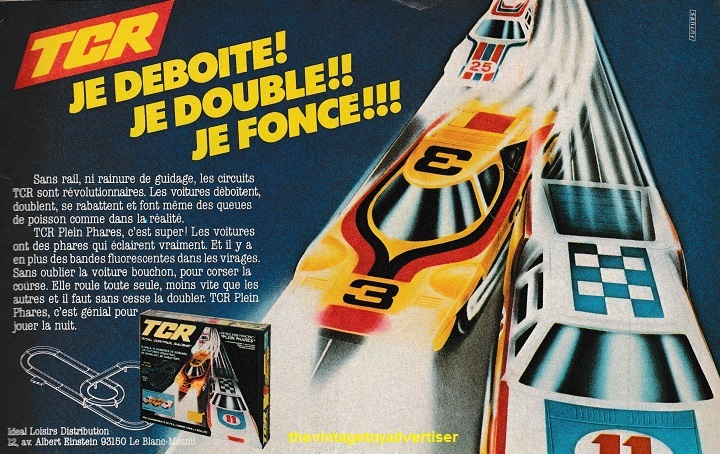 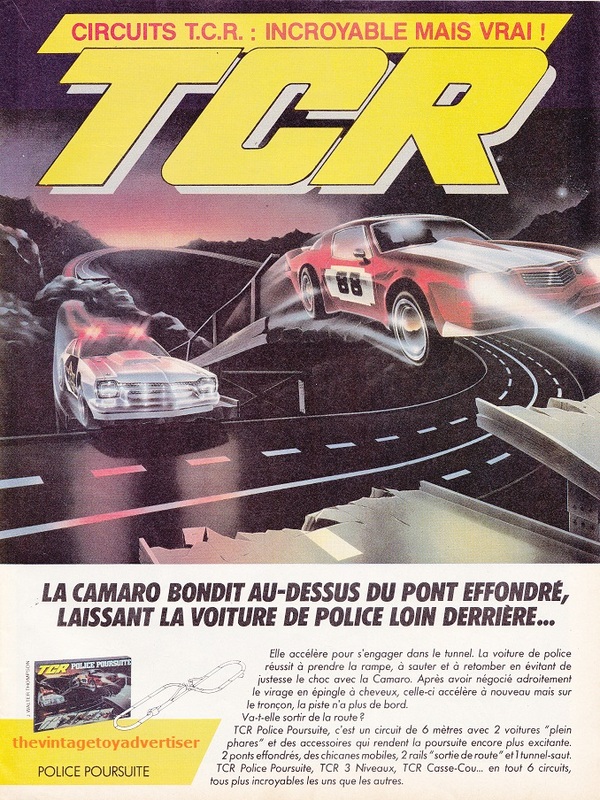 TCR (Total Control Racing) was a popular brand from the Ideal toy company in the late 1970s up to the mid 1980s. 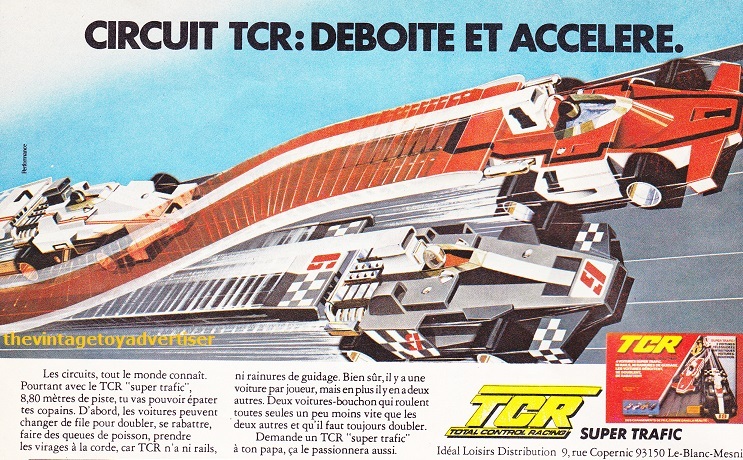 TCR used small ‘Matchbox’ scale racing vehicles on a slotless track. 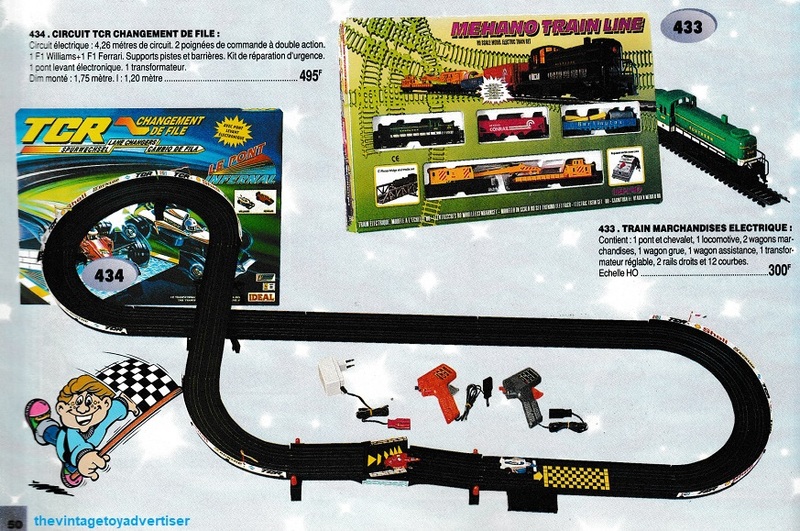 Vehicles included cars, Formula 1, lorries, and a cool Dukes of Hazzard set! 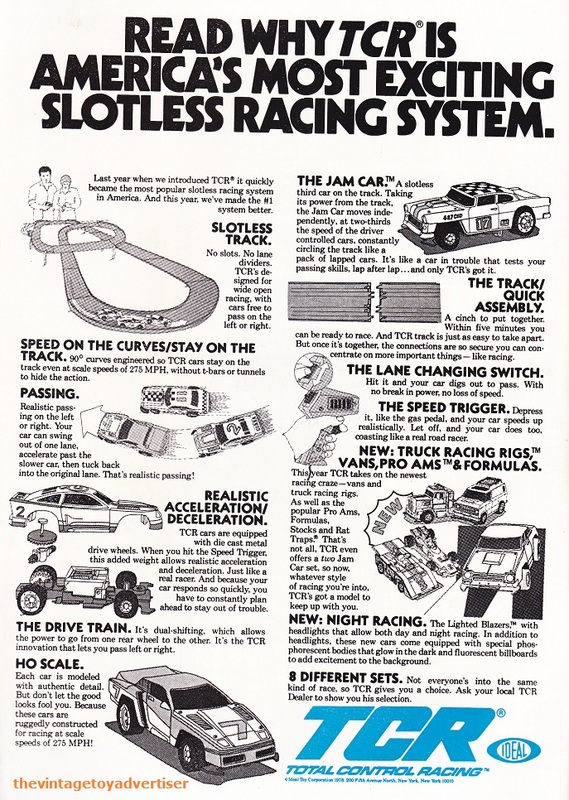 Often there was a ‘drone’ vehicle included in sets known as a ‘jam vehicle’ which served as an obstacle for the racing vehicles to overtake. 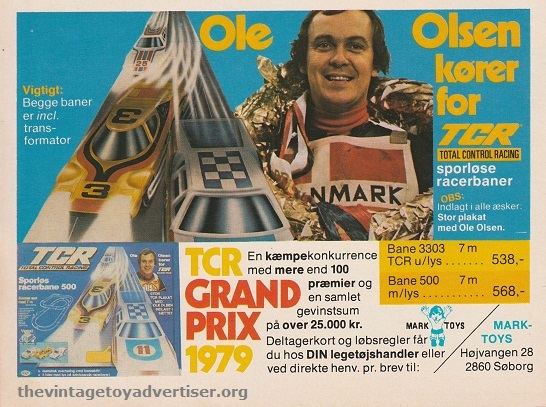 This entry was posted in TCR and tagged 1970s toys, 1980s toy race tracks, 1980s toys, old toy adverts, TCR, TCR Dukes of Hazzard, TCR Police Pursuit, Total Control Racing, TVTA, vintage toy advertising, vintage toy adverts, vintage toys on April 26, 2011 by The Vintage Toy Advertiser.